If you use popular WordPress plugins such as AddThis, WPtouch or W3 Total Cache and upgraded it in the last 1 or 2 days, read this. Matt Mullenwag of Automattic has published a blog post saying that they noticed suspicious commits to the WordPress plugin repository for several popular plugins. In fact, their suspicions were confirmed when they found cleverly disguised backdoors in those plugins. When the compromised plugins are installed by unsuspecting bloggers, they leave their site open to hackers through that backdoor. This is seriously bad! So, make sure you upgrade to the latest version of these plugins to clear out any malicious code you installed in the past few days. Also, make sure you reset your WordPress.org password. There doesn’t seem to be a day going by without someone or some major site getting hacked. 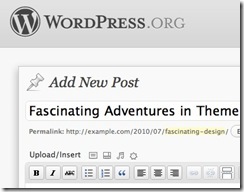 With WordPress 3.2 coming out very soon, this is bad press for WordPress team.